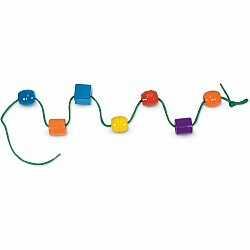 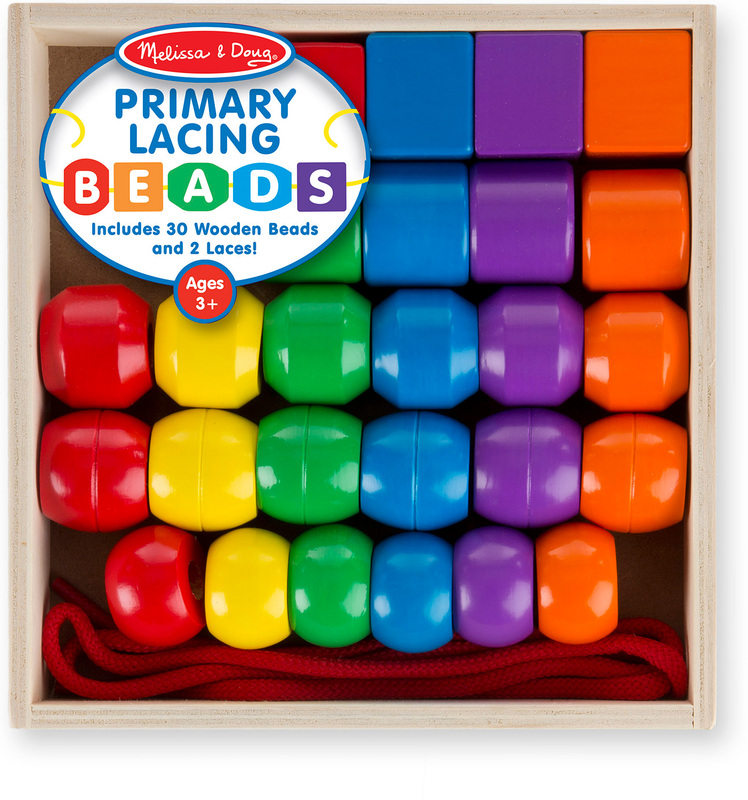 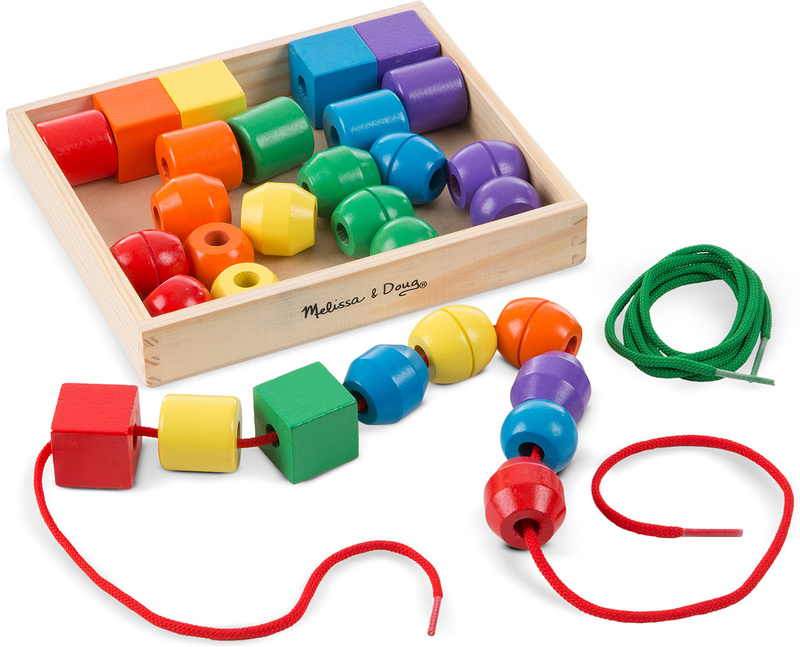 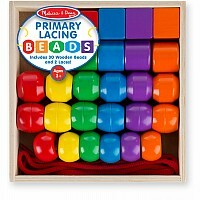 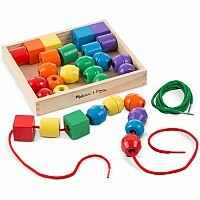 Thirty wooden beads in six vibrant colors and five distinct shapes combine with two extra-long laces for many activities. 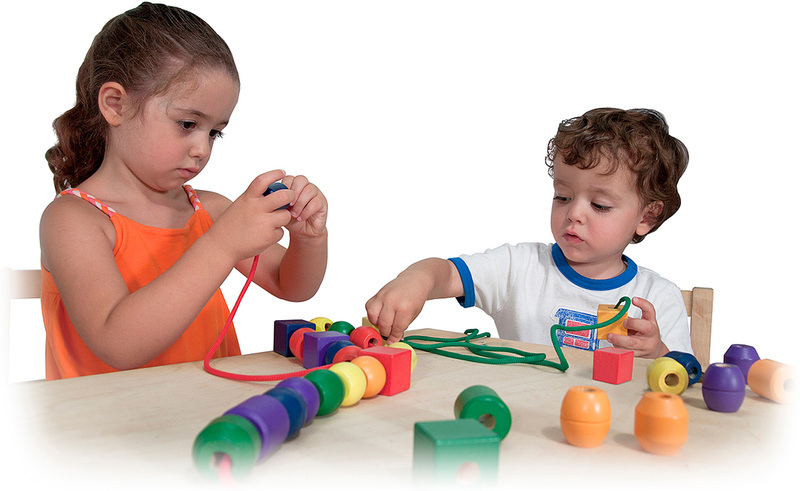 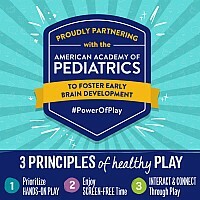 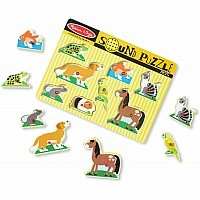 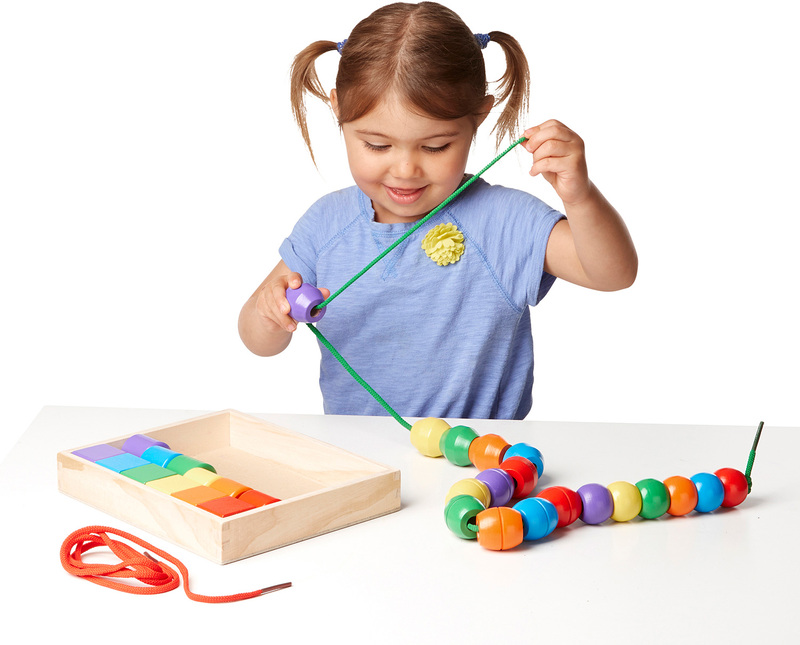 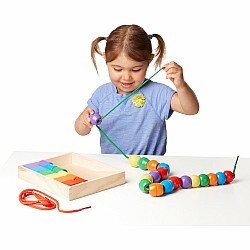 Stringing the easily grasped beads promotes eye-hand coordination, fine motor, cognitive and visual perception skills. Measures approximately: 1.45 x 7.70 x 7.70 inches..